Without further adieu, I baked these delicious cupcakes. Nomnomnom. So delicious that I cannot keep the recipe to ourselves; must share it! Thanks to Fabulous Foods Blog for the cupcakes for two recipe! Though, I augmented in order to make an even dozen. 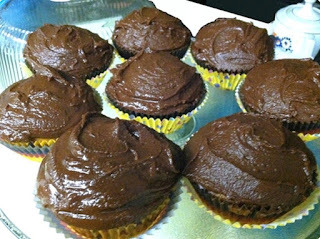 Then to make them extra sweet, I decorated them with her own chocolate frosting recipe; see below. Melt the butter in a saucepan on low heat. Then, add the chocolate chips. Allow the chocolate chips to soften and melt before taking them off the heat. Gradually add the powdered sugar. Stir until a frosty consistency. 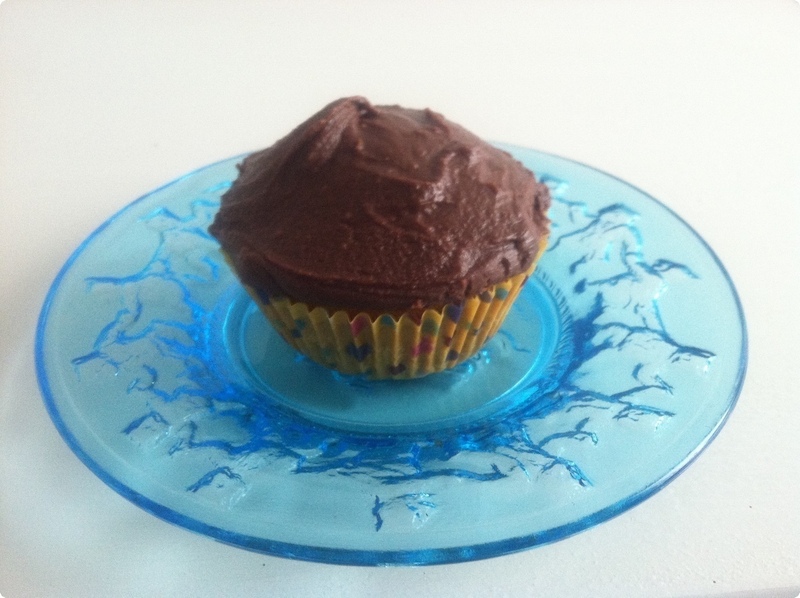 Finally, frost the cupcakes, eat and enjoy!